Elios4you is unique solar PV energy management platform that improves self-consumption performance helps protect your solar PV return on investment. By using the intuitive, free to download smart app, you can track energy performance at home, or on the go, in real-time on your smart device, without any on-going subscription charges. If you have an immersion tank, you’ll make even greater savings! 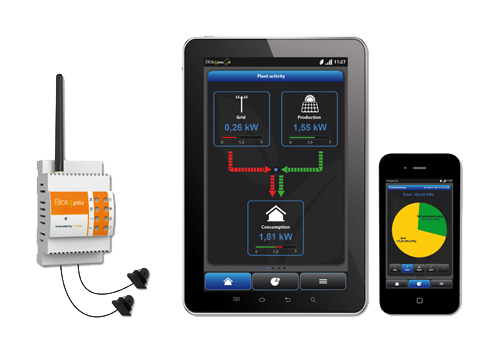 Elios4you is fully integrated with the Power Reducer, our very own intelligent solar PV immersion controller, designed to divert any surplus energy to a heat source.